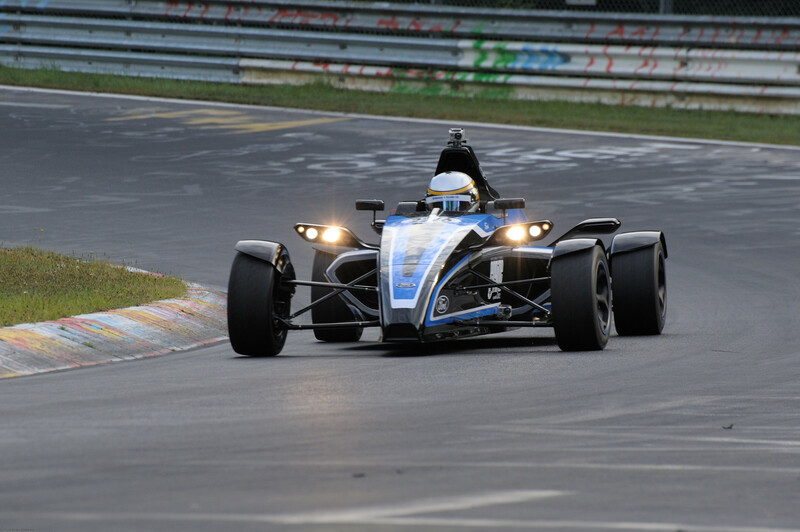 A unique road legal Formula Ford racecar recently blasted its way into the record book at the fearsome Nordschleife. 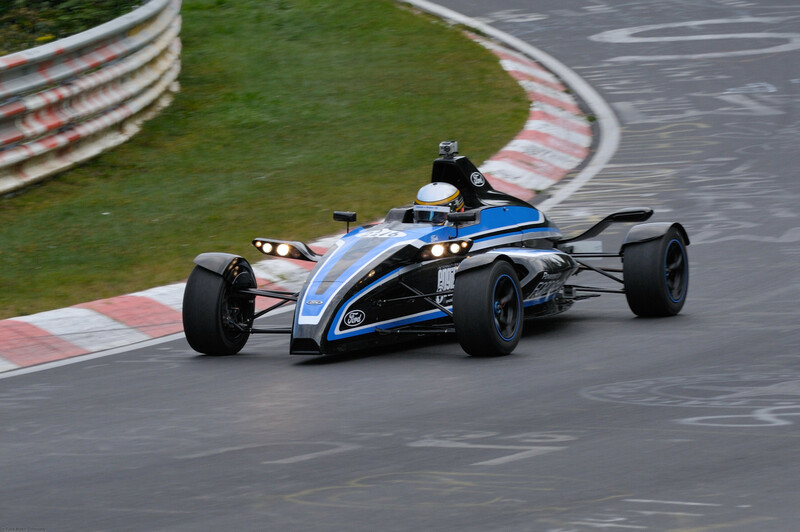 With experienced racer Nick Tandy at the wheel and powered by Ford’s new 1.0 litre EcoBoost engine, the modified machine set the 11th fastest lap time around the 20.8 km circuit. It’s best lap of 7 minutes 22 seconds averaged out at a speed of 105 mph – an impressive effort from both the engineering team and Tandy. 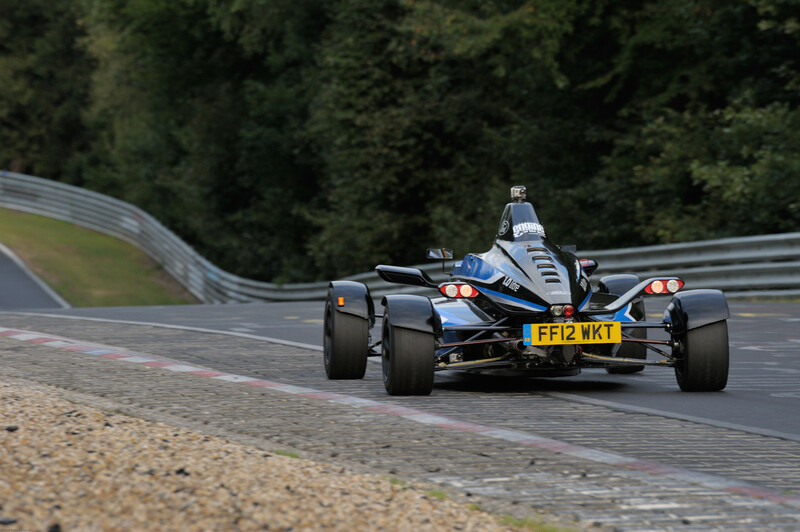 Bragging a top speed of nearly 159 mph, the junior single-seater even managed to lap the Nordschleife two seconds quicker than Ferrari’s 660hp Enzo, as well as the Lamborghini Aventador and Pagini Zonda. 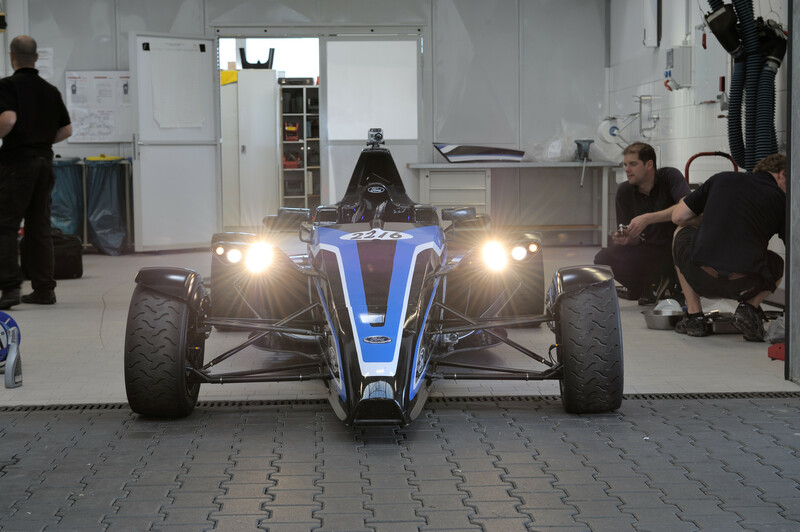 The new for 2012 car was reconfigured at Dunton Design Centre in Essex, before being transferred to Dunton’s speedy test track for initial runs. Additions to the machine included indicators, front and rear lights, wheel covers, wing mirrors, a horn (!) and a six-speed manual gearbox. A set of road legal Dunlop tyres were also fitted to the modified car. 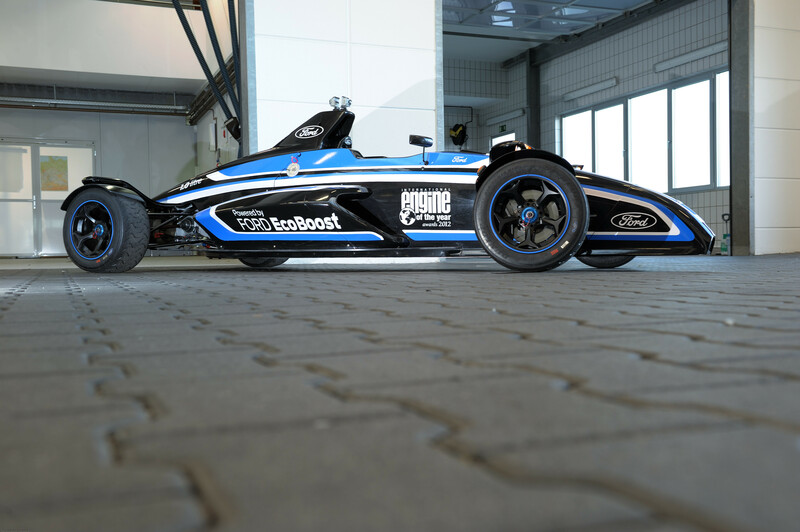 The EcoBoost – slightly transformed to meet European road legal standards – also displayed some impressive fuel economy numbers for a racing machine, garnering 57 miles-per-gallon at a speed of 120 kph. Named “International Engine of the Year” at the Engine Expo awards in Stuttgart in June, the three-cylinder motor is Ford’s engine of choice for their long-standing Focus range, as well as the soon to come C-Max and updated Fiesta models. 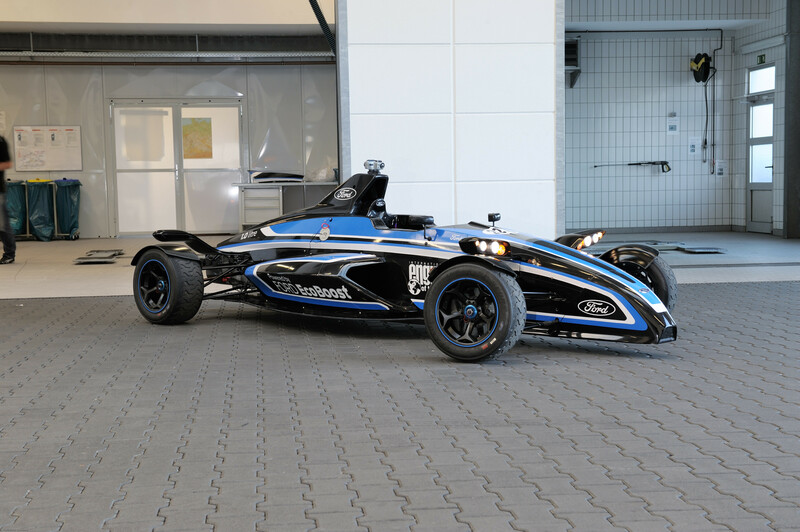 While this effort was indeed impressive, it comes during a season where the Dunlop British Formula Ford Series has struggled for numbers, with as few as eleven competitors appearing at the most recent round at Silverstone. However, it is believed that plans to restructure the British Formula Ford Series will be announced soon in effort to reinvigorate the championship.